UPDATE: Sorry for the faulty upload in the previous, now deleted, version of this post. And thanks to the ONE COMMENTER who thought to let me know after EIGHTY-NINE downloads! I swear, I don't understand some of you people. I'm sure you have very good reasons for not leaving comments, but you won't even leave one to let me know the damn file wouldn't expand? Now that's carrying leeching to a ridiculous extreme! 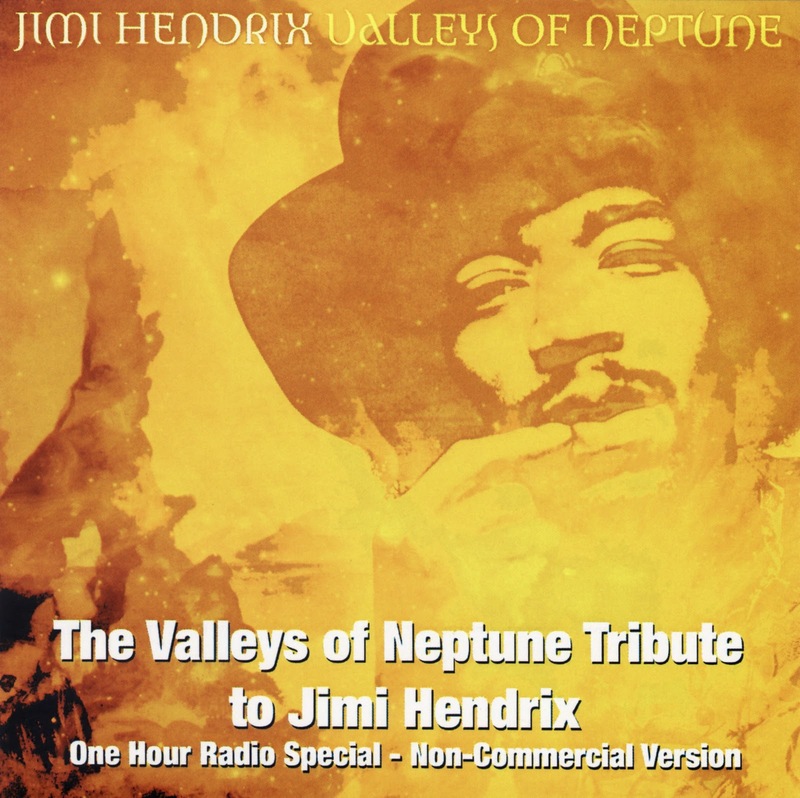 Without further ado, HERE's a relatively rare radio special promoting Hendrix' Valleys of Neptune outtakes collection from earlier this year. By the way, I won't be posting the Clash special I've mentioned, as I discovered it's still available from Mondo de Muebles, here. And, RecordFiend, sorry I inadvertently deleted your comment re: The Daily Flash when I deleted the previous version of this post. Thanks again for the discussion and for exchanging links! Fantastic!!! Thanks very much for fixing the file...and also for the link to the Clash Special! Please keep up the good work; it's very much appreciated! Thanks for all of these radio specials, each one has been worth listening to. Being a former D.J. I really enjoy these shows. Thanks for the Hendrix and all the radio shows.